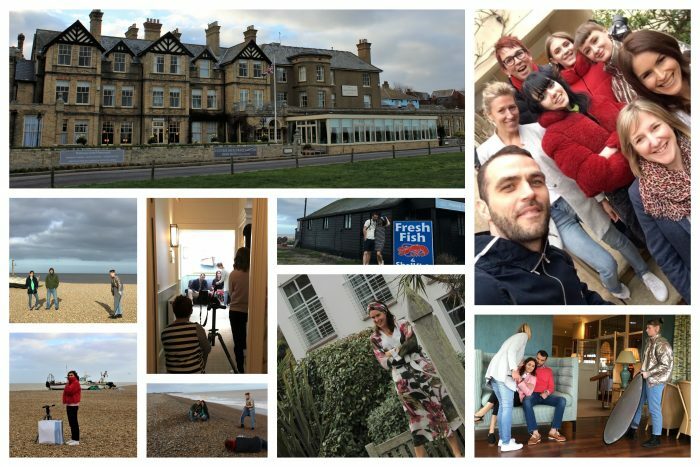 We had a fantastic spring/summer photoshoot on Monday at The Wentworth Hotel in Aldeburgh. Teamwork is definitely the name of the game on a day when we have to fit so much in to one day to cover key looks for both spring and summer. Alas the budget doesn’t stretch to warmer climes so the models were absolute stars for bracing a strong Northerly breeze on Aldeburgh beach. Thank you also to Holly, Poppy and Abi – the assistants who all had to put up with the cold and try their hardest not to lose the light reflectors into the North Sea. Even Munchies gets a mention here because they supplied our lunch but we ate all the sandwiches before we took a photo, oops. Thank you though, very tasty!